When my daughter was diagnosed with severe asthma and eczema her pediatrician recommended that we try a gluten-free diet. I will admit that the one thing I did not care for the taste of were gluten-free cookies or baked goods. In the years that have past however, gluten-free cookies have been elevated to a deliciousness that I had not yet tasted until I discovered A Couple Smart Cookies™! 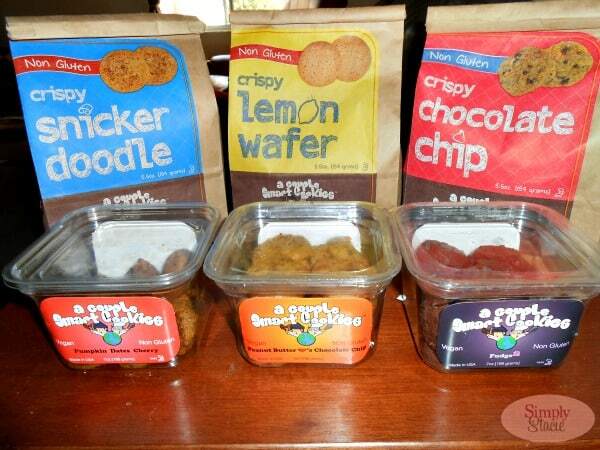 A Couple Smart Cookies™ from Smart Planet Kitchen is a wonderful line of yummy gluten-free and vegan friendly treats that are absolutely delicious. These cookies are made from only the highest quality ingredients and as a health conscious mom of three children I am very appreciative that there are absolutely no artificial ingredients, colors, flavors or refined sugars. This is a treat that I can feel good about serving to my family and they absolutely love it! I am excited to introduce you to a few of my favorite cookies in the A Couple Smart Cookies™ product line. I love a cookie with a crunch (perfect to dunk in coffee or a glass of milk) so I am partial to the Non-Gluten Crispy Chocolate Chip. A serving of these cookies (six cookies in a serving) contains only 9 grams of sugar yet there is no sacrifice in flavor as it is bursting with rich chocolate chips. My favorite of the crunchy cookies is the Non-Gluten Crispy Snickerdoodle Cookies which is a cinnamon taste explosion. This is truly a “sugar and spice makes everything nice” cookie that was also a big hit with my children. My husband loves the fresh tasting cookie offering, the Non-Gluten Lemon Wafer which is the perfect blend of both tart and sweet….great with a cup of tea! For those who love a chewy cookie then you are going to love the offerings available at Smart Planet Kitchen including the Vegan-Friendly Fudge Squared. It is sweet with a delectable bitter chocolate edge that makes this one decadent treat. 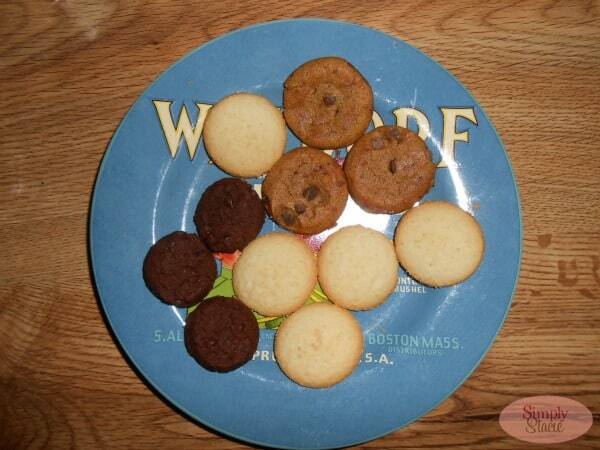 The cookies are pleasantly chewy, moist and delicious. My children also really enjoy the Peanut Butter <3’s Chocolate Chips (sinfully delicious) and Pumpkin Dates Cherry as an afternoon snack or dessert. 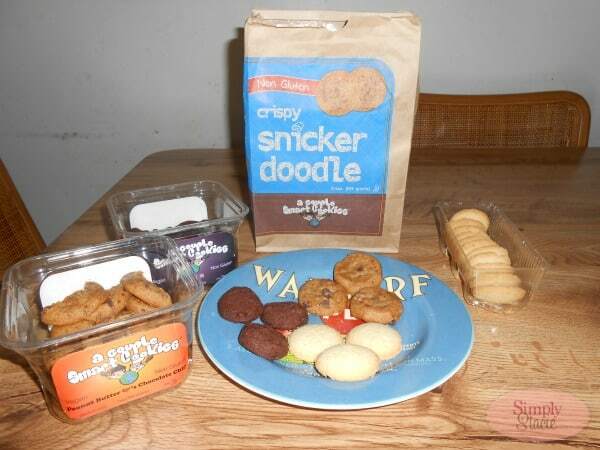 In my opinion, the true appeal of these cookies comes from the fact that both my husband and I did not like any gluten-free cookie prior to sampling the goodies from Smart Planet Kitchen. 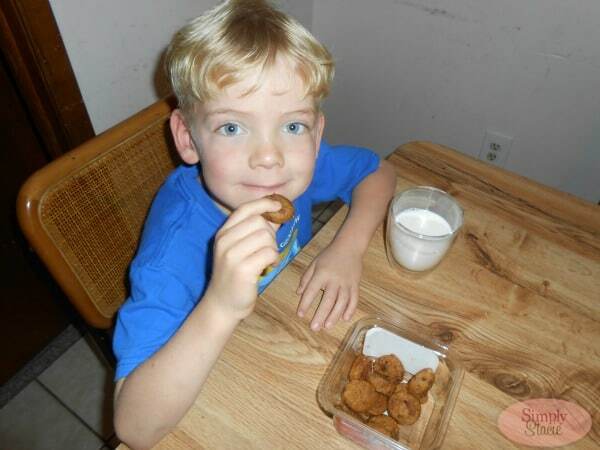 Not only did we love the cookies but it is a healthier, delicious treat that just right for our family. You are invited to visit the Smart Planet Kitchen to learn more about each of these cookies and you can shop for your favorites in their online store…..get delicious gluten-free and/or vegan cookies shipped right to your door! There are a variety of options to choose from in terms of ordering and you will receive a case of cookies which includes a six 5.5 ounce bags or 7 ounce tubs for only $30….may I suggest the sample pack so you can try several flavors at once. The Fudge Squared look delicious! The fudge squared sounds good… so does the lemon…. and the pumpkin dates cherry…. Oh, who am I kidding? I’d eat them all! Crispy chocolate chip sounds good. The Crispy Chocolate Chip is my favorite. My favorite would be the Pumpkin! Sounds awesome! I’ve never had anything like this one! I like the Pumpkin Dates Cherry flavor. 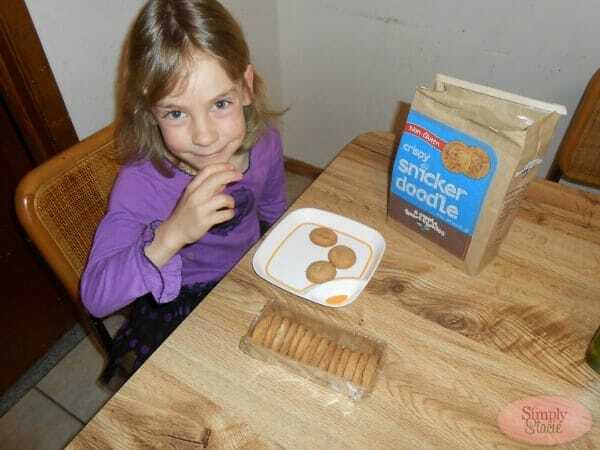 I want to try the Snicker Doodle! !